An HVAC system is one of the most expensive parts of your business’ infrastructure, but chances are, you probably don’t think about it until there’s a problem. But waiting until the system has an issue can cost you big time—not only in emergency repair fees but also in potential business disruption and safety. As the saying goes, “an ounce of prevention is worth a pound of cure.” And that prevention is regular maintenance of your HVAC system. Like any piece of equipment—such as a car or computer—regular maintenance can extend the life of your HVAC system and keep it running at peak performance. For you, that means peace of mind, trouble-free operation of your facility, and more importantly, long-term savings. All that adds up to a better return on investment on your equipment. Here are some key ways HVAC maintenance can impact your bottom line. HVAC systems account for approximately 40 percent of commercial building energy use. If your heating and cooling system is operating at optimal efficiency, it can mean significant savings on utilities. How much savings? Effective scheduled maintenance decreases energy bills by 15-20 percent, according to The National Center for Energy Management and Building Technologies. In contrast, the lack of maintenance can increase energy use by 30 to 60 percent. No matter what type of building you operate, those savings can add up to a substantial amount very quickly. An HVAC system is a significant investment, so having to replace it can take a big chunk out of your budget. Regular maintenance helps you get the most out of the system so it will last for years. It’s quite normal for an HVAC system to accumulate dirt, dust and grime. But, if filters aren’t changed and parts aren’t inspected, your system will have to work harder to heat and cool your building, which can lead to early burnout. Preventive maintenance keeps all the components clean and inspected to reduce the likelihood of breakdowns or major repairs. Regular service allows you to catch problems in advance. If you only wait until you have an emergency, it usually means you’ll need a major repair that can be costly not only because of the service expense, but also the impact it has on your business—meaning you may have to close your doors because of poor air quality or lack of heat in the winter. Maintenance not only helps you prevent problems with your system, it can predict when parts will need replacing. This makes budgeting easier, as a service pro can tell you what parts will need to be replaced so you can strategically plan for capital improvements, both financially and time-wise. Service contracts are a way for you to save money in the long run on repairs and equipment. Maintenance agreements come with a monthly fee, so you are never hit with a large bill all at once for servicing and you often get discounts because of the contract. Scheduled, contracted maintenance benefits your business because you schedule it at your convenience. Emergencies always seem to happen at the worst time, every time. A contract also means you get priority. So, if you have an emergency, your needs will take priority over those who don’t have recurring service. When it comes to your HVAC system, it pays to be proactive instead of reactive. A service contract with an HVAC professional with the 5-Star Seal of Approval can provide you with the peace of mind knowing your system is operating efficiently and you’re saving money. 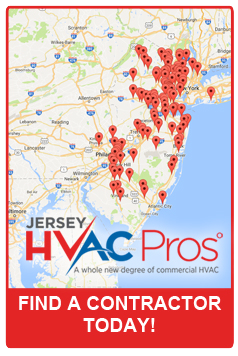 Our HVAC professionals are equipped to address common problems, provide preventative maintenance, and help you get the best ROI on your equipment.